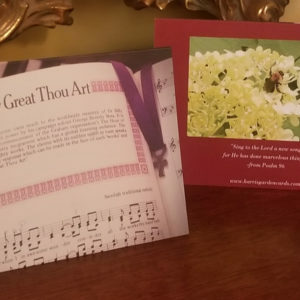 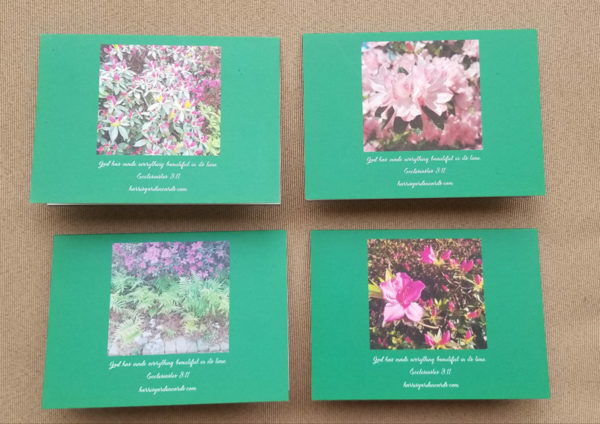 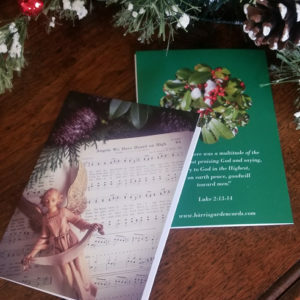 Each package includes four different 4 X 5.5 note cards with blank pages inside so you can create your own message. 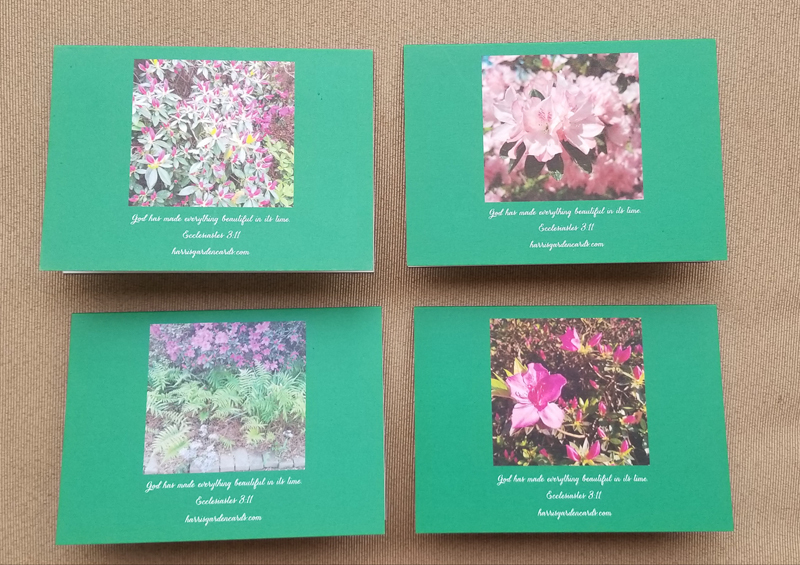 Each package contains four different 4 x 5.5 note cards with blank pages inside so you can create your own messages. 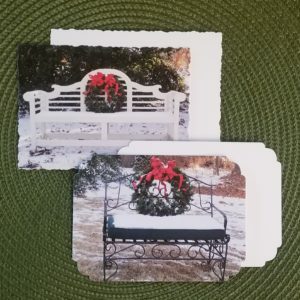 We can do special orders! 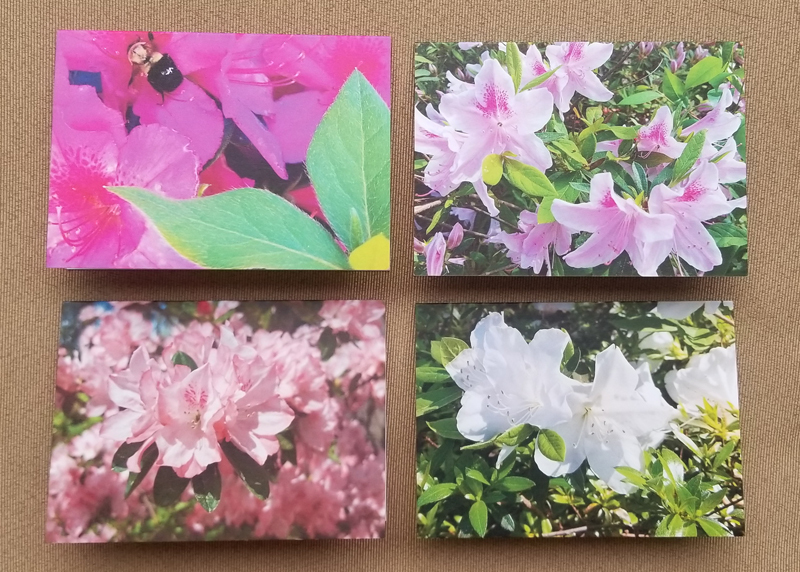 If you prefer 4 cards of the same design rather than the variety package, note which flower you’ve selected for your 4 cards in the order notes box under the shipping info in your cart.